Hey everyone! Thanks for reading this blog and join me on this awesome news story! 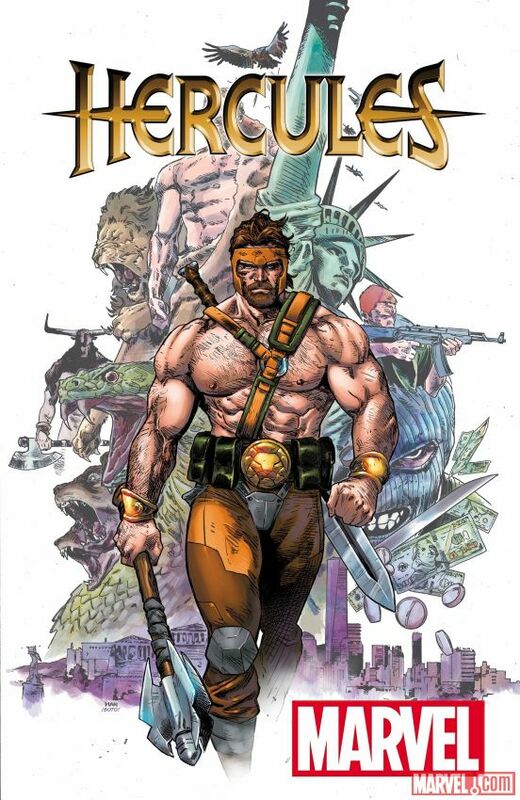 Marvel Comics recently announced that they will be bringing back Hercules which is really exciting if you ask me, because I really enjoyed his own last run. Hopefully I wasn’t the only one that liked it. So what we know so far is that Hercules in this series will be about obviously Hercules fighting enemies that are street-level and that are a cosmic-level threat. To this I say yes, because comics in overall are lacking in characters who fight street-level AND cosmic level enemies. The only dumb part about this is that Marvel will have to bring another character back from the grave, which I am slowly starting to adapt to the idea of doing so. So all we know is that this will be written by Dan Abnett (you might know him for Guardians of Galaxy and Guardians 3000) and will be drawn by Luke Ross (you might know him from Hulk or Secret Avengers). Luke Ross’ art is beautiful and it will be cool to see it. It is coming this November and so far it looks astonishing. Let’s just hope that this time around the series won’t get cancelled, because there should always be room for the first superhero of all time (chronologically speaking). Thanks for reading once again. Now you express your opinion in the comments below! Make sure share, like and stick to Comic Booger for more awesome comic book related news.